ohhh the doggy is so cute. Thanks Mica! Ben makes a great beer! Love the costume. So cute. 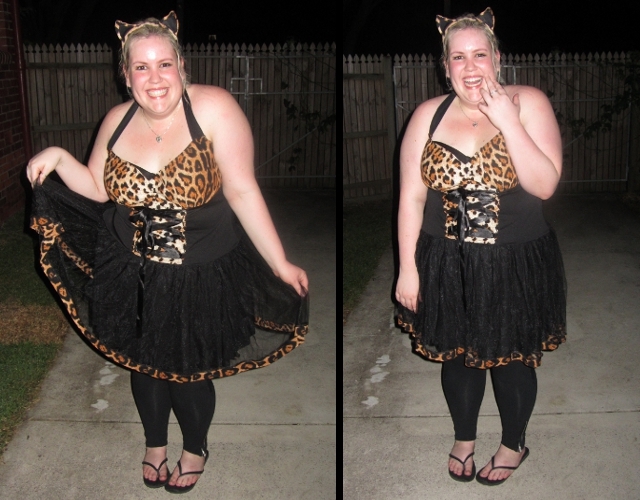 Especially love the leopard tail. Looks like such a fun night! Love the last shot of the dog grabbing your tail! Thanks Adele! He's a bit cute! Looks like so much fun! The last shot is so cte! You look stunning! Superhero party - this is so cool, I love your outfit. Really cute outfit and I love Ben's costume too - that's pretty awesome! I love dress up parties too, I wish I had more to attend! Thanks Kiah! I'm excited to meet you at FFFWEEK! Looks like so much fun! Cute costume. Too cute! 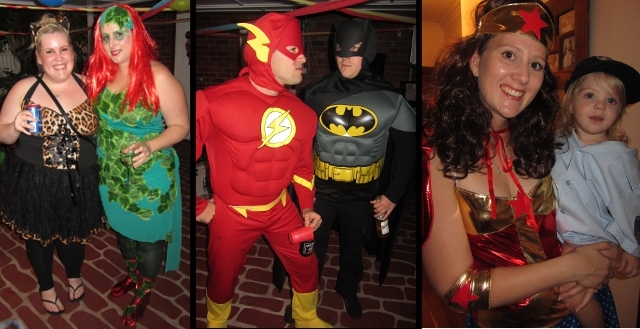 I love the idea of a superhero party. 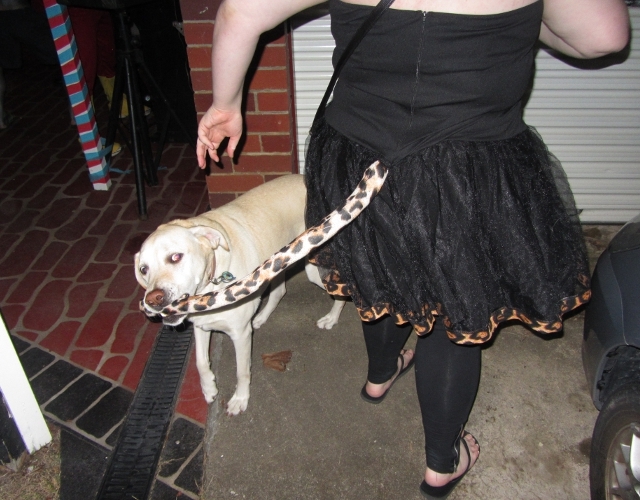 The dog grabbing your tail is hilarious! Hopefully he didn't do too much damage. mouhhahahaha awesome the last picture!! Baaahaha. The photo of the dog chomping your tail! LOVE. Looks great. 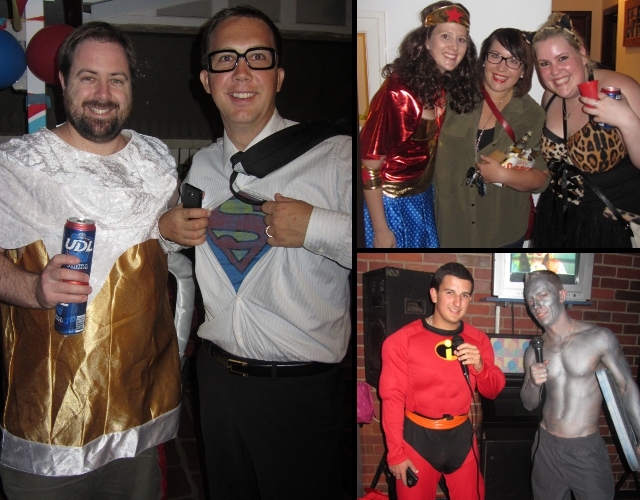 I love that you guys have dress up parties. I can never convince anyone around here to go all out any more. Guh! That's amazing! 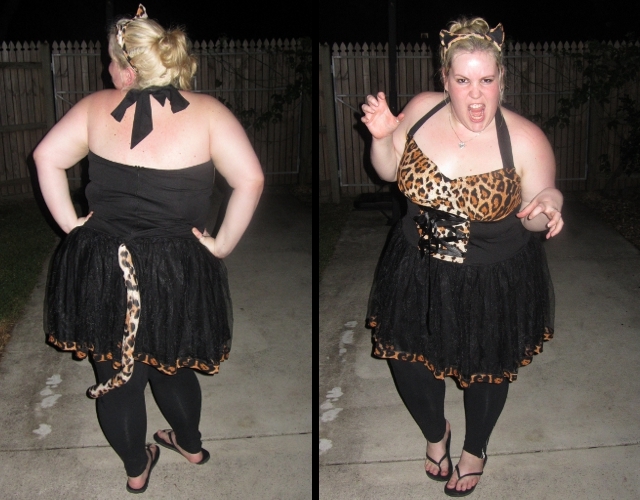 I've only ever been to one fancy dress party, but I seriously want to go to more! It's always been a dream to have a costume party for my birthday, but when I was younger, my Mum would never allow me to! LOVE the last photo, that's hilarious!